Your company. Your image. 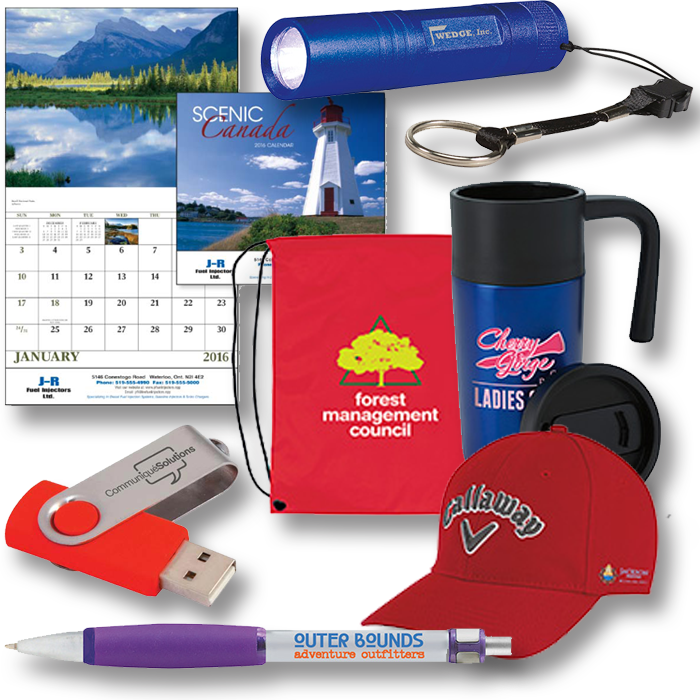 Your promotional items. We’ve all heard that phrase “you have to spend money to make money” haven’t we? but what should we spend our money on? Promotional products are great in their ability to attract new clients, increase brand awareness and remind customers of your company consistently. In most cases, offering a product to someone else will make him or her more likely to do business with you. unlike giving a gift to an individual will show the recipient of good gesture. Studies found that more than half given a promotional item said they would likely do business with than company. A proven, cost effective way of marketing your company while doing minimal work. With our finger on the pulse of the promotional products trends, you always have access to the hottest, and most creative promotional items when you partner with us! Browse our promotional product section for all your marketing campaign and should you give us a call, our expert team reps will assist you. Everyone wants to be the popular booth at the trade-show, am I right? We all want all of the attention that we can get for our company and our brands and promotional products is your answer to attract that attention! Those who receive your promotional items will likely be walking around the trade-show where others will see them and ask “where did you get that?” or “I need a pen, I lost mine”, remember that booth. Ad America uses the largest supplier of printing promotional products. We continue to improve on the leading lines with thousands of innovative promotional products.